Goddam I Hate THIS Kind of Politics…. As an old fashioned newspaper reporter, I covered city councils, county court and government, state legislature, governor’s offices, U.S. Senate races, House races, on and on it went. Sad to say I used up my time in journalism, shifted to academia, then used up my time at that and now I just fester and write music and build ukes. But every time something like this comes up, I am reignited. Our political world is so primitive and immature and narrow that most of it can only imitate what it believes worked last time around, in this case, for President Trump. So we have a whole world full of wannabes clinging to the same kinds of issues, the same kinds of presentations, that worked for Trump in 2016. Even Trump is doing that. Why else jet into someplace you would not ever typically go to have a big rally at which he shouts and postures and poses and everything else in his bag of ego tricks. My question about this is “Who is to blame?” Is it the electorate and its stupidity or politicians and their pandering. Which came first, the squawking chicken or the rotten egg? Now, is this his fault? On the one hand, the President is just using what works for him on the campaign trail. And this clearly works. So a pragmatist might argue it’s not his fault, that he is just leaning on tactics that worked well for him before. Then we shift to the audience. First, Trump has a very loyal base inside of the Republican Party, but not so loyal that some parts of it won’t peel away if he gets too loony with his pitching. What we see in these rallies are all of those who are left in the Trump universe. He sets a stage where only the most rabid of his followers will show up, and sure enough, only the most rabid of his followers show up. It’s a strange symbiosis, you know? 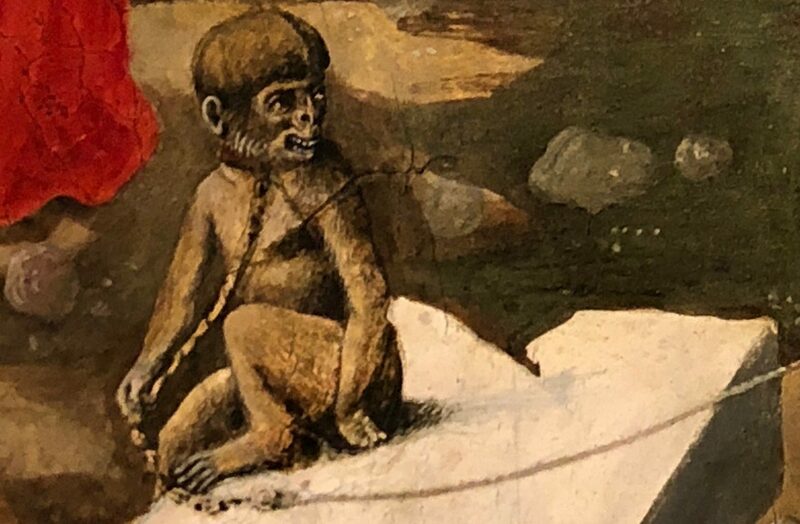 Hopefully in a couple of weeks, that magical connection between the baboon and the folks who come to laugh and cheer at the zoo will be broken. That would be a very good thing for the rest of us who are getting so tired of these behaviors. America does not need to be made great again. Not this way.